We're building a high-impact network of leaders solving the most pressing issues facing our region. Every year we select a cohort of 10-12 innovators to join the family. For 12 weeks, we focus on accelerating the impact of their ventures with a focus on sustainability and growth. It's tough. It's very practical. Our alums are doing incredible things. And thanks to American Express and 10 local female investors, all participants in this cohort receive a scholarship. 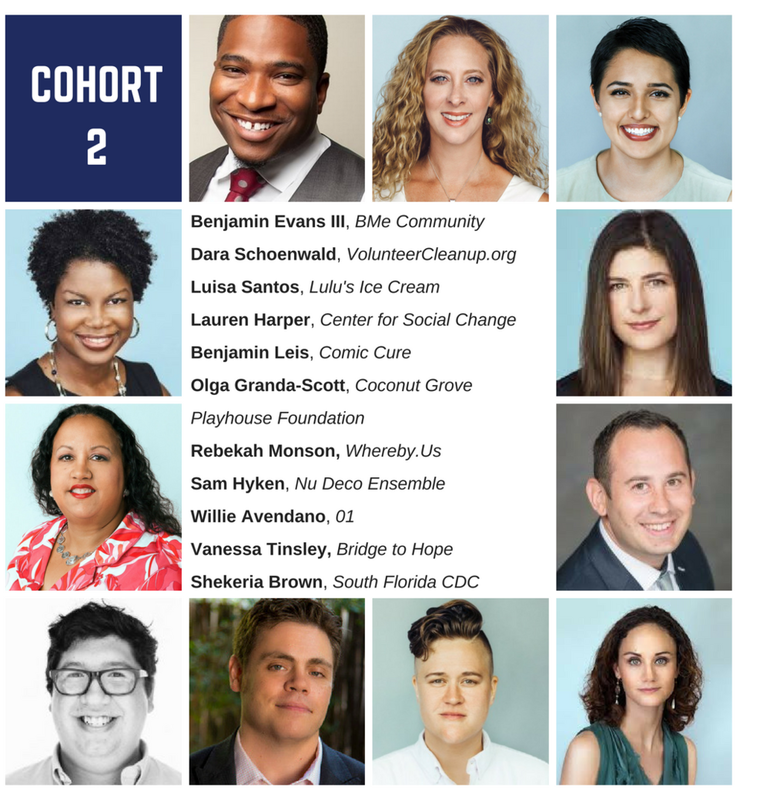 Meet our past 4 cohorts. After participating in Bootcamp, members become part of our Social Impact Network. Our goal is to maintain a co-supportive space where social impact leaders can sustain themselves and get the support, resources, friendship, and partnership they need to stay strong as they tackle serious issues. Our members are taking on community issues from education to the environment, diversity to human trafficking. And they're excited to mentor, support, and learn from one another. A Collaborative Problem-Solver: Our alums partner with each other like crazy. We’re looking for people who are excited to not only grow their own thing, but who want to help others blow things up as well. We’re looking for people who are going to cheer each other on and lift each other up. A Thirsty Learner: This program is perfect for an organization that’s ready for a growth spurt and a leader who will be wholeheartedly committed to the program. If now is not the right moment for growth or if you are already engaged in another coaching/professional development experience, hold off for our next cohort. A Community-Focused Innovator: We are looking for founders/leaders of ventures that solve community issues. For profit, non-profit, we’re agnostic. But your entity needs to do something that matters. We’re also open to civic entrepreneurs...people in government leadership roles who are taking on important community issues. 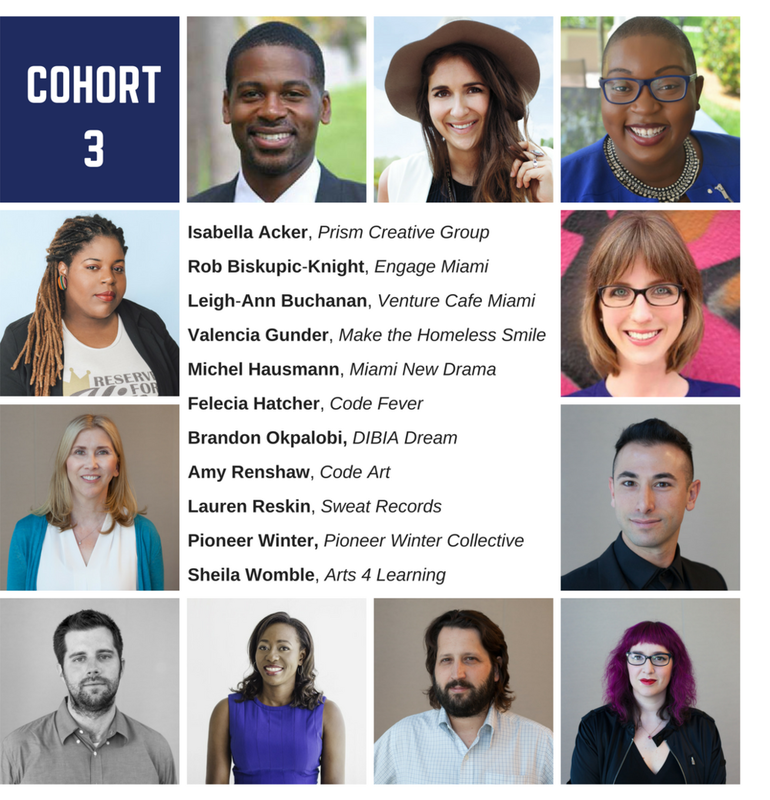 A South Florida Obsessed Leader: We’re building a community of social-impact leaders based in South Florida, and we want our members to love this town. We may help you scale nationally or globally, but we want SoFla to be your home-base.